This is stage 2.0, which upgraded from stage 1.0 with the location of the studio in my house and equipment. 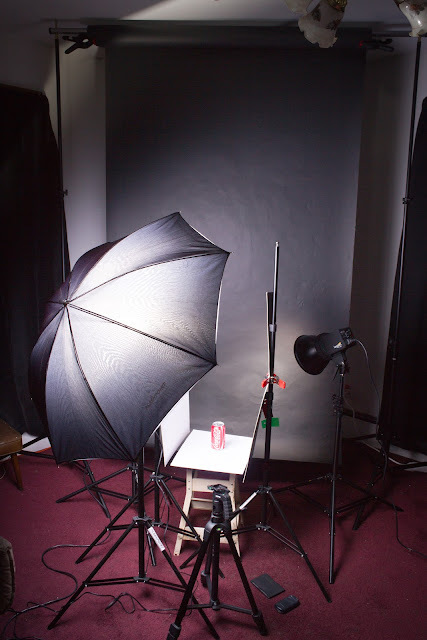 This is the basics of what's in my studio. I have my home studio setup in a room in the house where it's carpet. I do plan on removing the carpet and putting some kind of hard flooring, but until I do what can I do while shooting full body shots where it requires the feet/foot to be included? I'm using seamless paper now, should I invest into the other type of backdrops that isn't seamless paper to put on top of the carpet? I'll make a video on this question sometime this week, also showing my home studio as well for you can fully see and understand my situation. Answered: How to shoot in a home studio without hard floors?